Moving your business to zero waste. We visit you, assess what your needs are, and answer any questions you may have. We can supply you with containers to store your material for pick-up. We perform an education seminar with your staff. On our scheduled day, we arrive and swap our your containers with freshly power-washed clean ones. You’ll appreciate the extra effort we make. 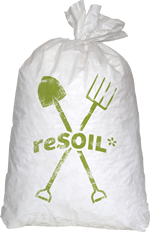 We take all compostable materials to a licensed composting facility where it is blended with yard and garden trimmings and fabricated into premium compost. To boost employee morale, and justify all of your team’s efforts, we can provide you with detailed records of how much weight you have diverted from the landfill, and how much space it has saved. Please contact us for more information or to set up an appointment for us to drop by. This revolution runs on table scraps. Food scraps (discards) are food preparation wastes and uneaten foods from,commercial establishments, institutions, and industries. They originate from restaurants, supermarkets, produce stands, school cafeterias, hospitals, food processors, farmers, hotels, prisons and employee lunch rooms. They include: outdated bread, wilted lettuce, vegetable peels, fruit pits, meat, bones, waxed cardboard and soiled paper. Made entirely of organic waste and yard and garden trimmings.